Hi, I'm AUSTIN, a sweet, lovey-dovey guy. My goal in life is to have you rub my chest. This puts me into my Zen state and I start saying 'Ommmmm' (as in 'ommmm my gosh'...don't stop.) Besides my Zen-ness, I'm a playful and fun 2-year-old Bulldog/Boxer mix (can you tell by my mug?). I like other dogs and I am good with cats. I would be ok around respectful teenage humans, but I'm too big and goofy for little ones. (I'm 70 lbs of pure love.) Shelter volunteers were very fond of me probably because I'm a happy sweetie pie, who is eager to please and likes learning new things. I like daily exercise and playtime as much as the next pup. But I'm generally a calm quiet, go-with-the-flow pup who enjoys chillaxing in the yard and taking in the sights and sounds of the season. I'm new to rescue so there will be more about me soon. If you like what you see and hear and have a place in your heart and home for a magnificent pup like me, go for it and submit an adoption application: https://www.lulusrescue.org/adoption Password: AdoptMe2018 (case sensitive). Paws crossed, it won't be long. I can't wait to find my forever home. AUSTIN is neutered and up to date on age appropriate vaccines. Adoption fee is $400. Please note that training is highly recommended for all dogs. As with all rescue animals, breed determination cannot be validated without genetic testing. Visit WWW.LULUSRESCUE.ORG and click on the ADOPT tab for an overview of Lulu's Rescue adoption process. Or access, complete and submit Lulu's online adoption application using the following link and password: https://www.lulusrescue.org/adoption Password: AdoptMe2018 Upon receipt and review, a rescue volunteer will contact you to discuss your app, answer any questions and arrange a meet if it is a good fit. 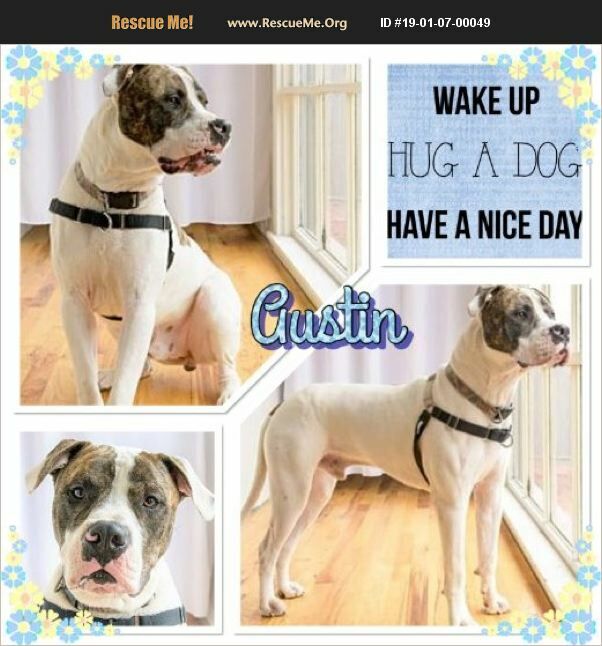 Thanks for adopting and saving a life -- you are AUSTIN's hero!